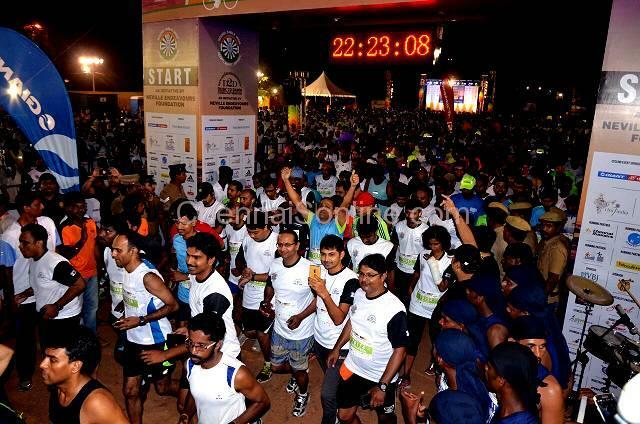 The ‘Dusk to Dawn Chennai Night Marathon 2015’ (AN EVENT ORGANISED TO BRING AWARENESS AND RAISE FUNDS FOR A CAUSE) was flagged off at the Island Grounds by Actor Surya. This initiative to help underprivileged children through the project Freedom through Education saw over 3500 participants with the age as low as 6 and 75 plus. After flagging-off all the events, Actor Suriya also ran the D2D Marathon along with Neville J Bilimoria, for 5 Km and completing it strong and received his first Marathon D2D Medal. The Guest of Honor was Dr. C. Sylendra Babu IPS, ADGP, Coastal Security Group, Tamil Nadu, Mr. Vikram Cotah, COO, GRT Hotels & Brand Ambassador of D2D Marathon, Dr. Kannan Pugazhendi, Director, Sparrc Institute & Brand Ambassador of D2D Marathon, also participated in the run. Actor Surya after completing his 5km run said that he was delighted to be a part of this exciting event and was thrilled to participate in the D2D marathon and complete the 5km run. Moreso, this brings people together and makes them contribute for a worthy cause like educating the poor children. He said – In the years to come more and more people should participate in D2D and make it the popular running event in the night. According to Mr. Neville Bilimoria, Founder of D2D Marathon & double Limca record holder, “Dusk to Dawn / Dawn to Dusk (D2D) is a flagship event that has been conducted once in a year and this is the 5th edition. D2D is an initiative to raise funds mainly for the underprivileged children. The event has also inspired many runners to run for a cause at different times. Through running and cycling activities, D2D has inspired thousands of veteran and first-time runners to run for a cause. Chairman, Round Table India. 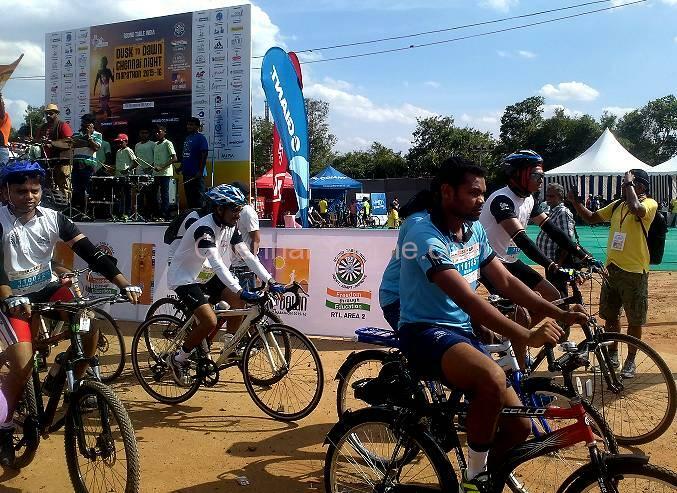 The cycling event was for 25 Km / 50 Km / 100Km / 100 plus km. Around 650 enthusiastic people braved the scorching heat and participated in this occasion. The second event was the marathon and running event for 21Km category followed by 10km, 5km and 3km and saw men, women and children in all age groups participate with excitement in the night. All the authorities concerned played the role to perfection and ensured that every participant had an enjoyable and smooth run.